Do you work in a cubicle? Or do you work in an open space surrounded by plants and sit on a hammock with your colleagues? 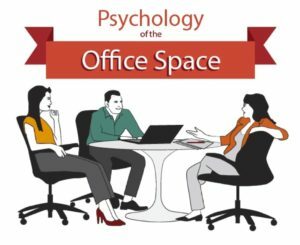 The design of our work spaces has an effect on our happiness and productivity, but how does emotional intelligence figure into the equation? 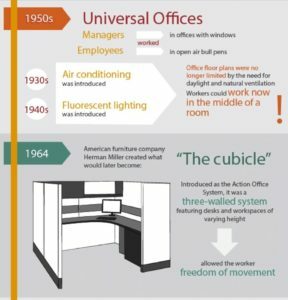 Tracing the evolution of office space design provides insight into the social and cultural norms that have dominated corporate business practices over the years. This history is depicted in a great infographic from the Applied Psychology Department at the University of Southern California. From the earliest purposeful attempts to influence employee productivity in the 1920s using open floor plans and direct supervisor observation through the open bullpens and corner-office managerial perks of the 1950s, the emphasis was on efficiency, hierarchy, and control. 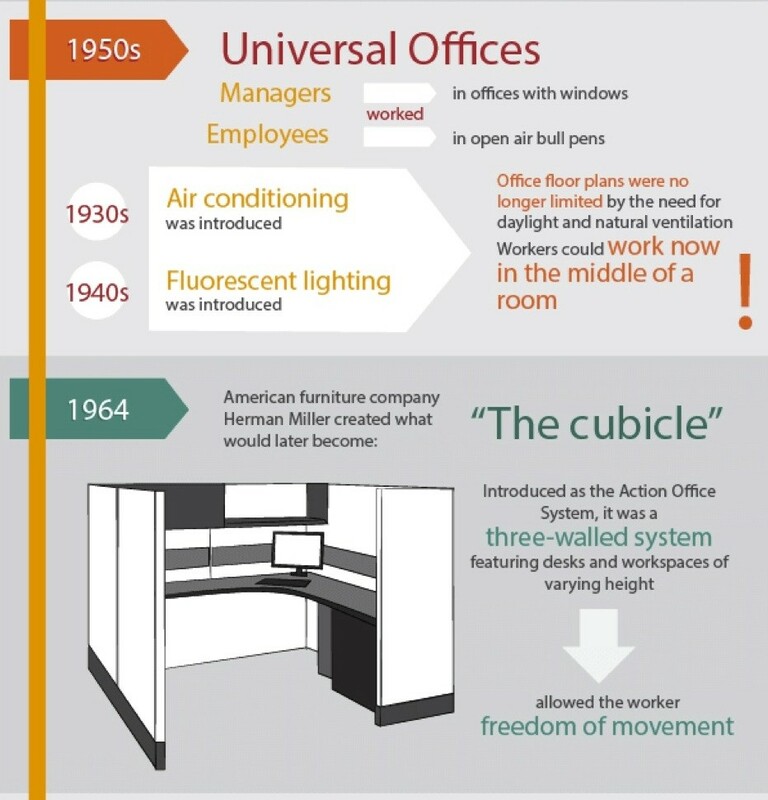 The introduction of the infamous cubicle in 1964, allegedly designed to allow more freedom of movement and privacy, actually created isolation and anomie. 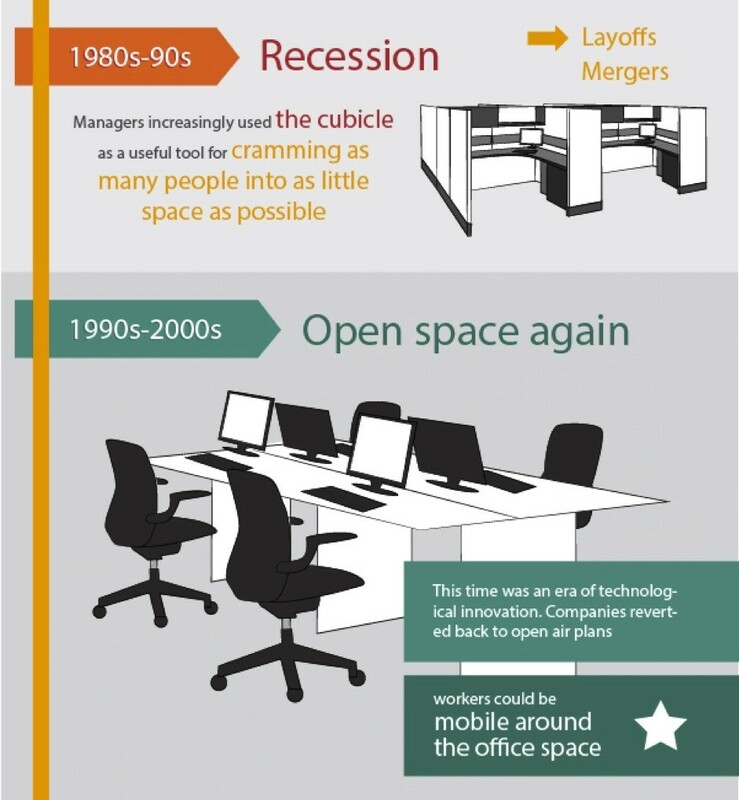 The financial strains of the 1980s and 90s prompted managers to overcrowd the existing cubicles, compounding the stress that employees were experiencing. 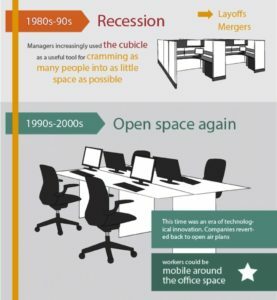 The end of the last century saw a return to the open office with an emphasis on mobility, but it produced a backlash from associates who felt that this concept adversely affected attention span, productivity, creative thinking, and satisfaction. The second decade of this century has been marked by a growing recognition that promoting employee happiness and satisfaction will help attract, retain, and reward the best people. A new emphasis on divergence, collaboration, spontaneity, and innovation is driving office designs that cluster “intermixed” associates across different levels and functions. The goal is to create new opportunities for generating cutting-edge ideas, products, and services. 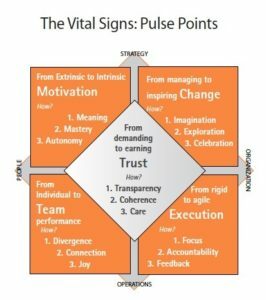 Elaborating on the five Vital Signs drivers of organizational performance, Motivation, Change, Execution, Teamwork, and Trust, the Pulse Points guide the way towards personal and professional vitality. 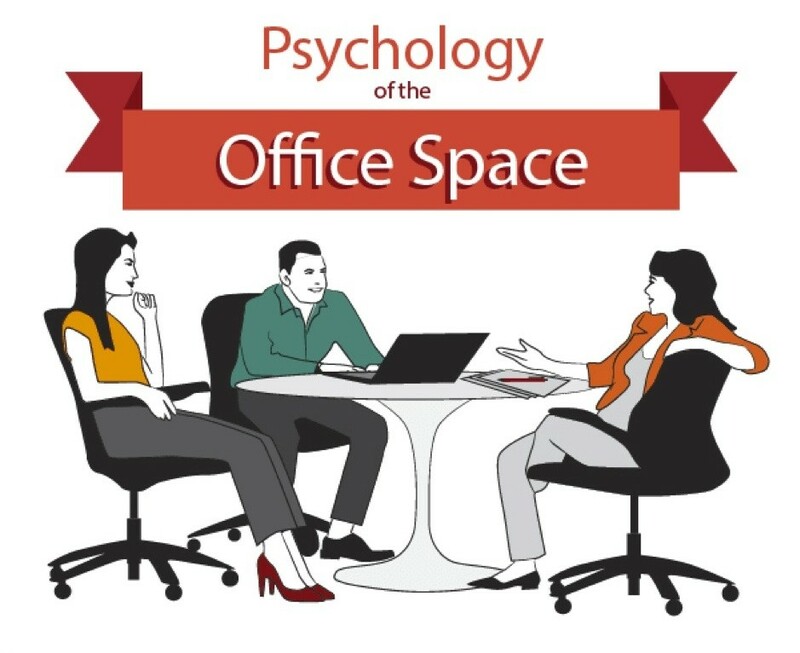 Simultaneously, they can help define the principles for designing state-of-the-art office space in a new world of interconnection and creativity, using EQ to improve performance. We now have the knowledge to put EQ into action through better office design, trading purely functional requirements for real human needs that optimize thinking and feeling. 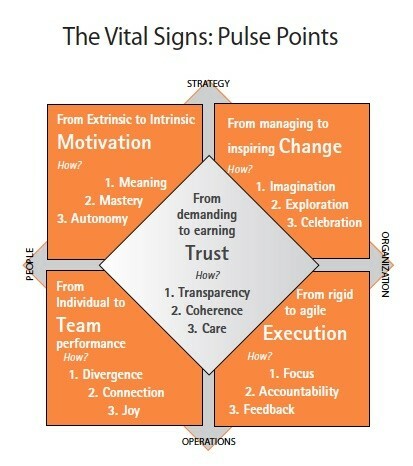 Consider giving the architect or designer the Pulse Points and specifying that the new office space must 1. promote exploration and encourage celebration, 2. facilitate focus and feedback, 3. accommodate divergent styles, 4. give people a sense of meaning, mastery, and autonomy, and, finally, 5. earn trust through transparency and care. Close your eyes and envision the wonderful designs that could be created using this approach, producing spaces that foster intrinsic motivation, inspire change, promote agile execution, and enable team performance. This is a great read. 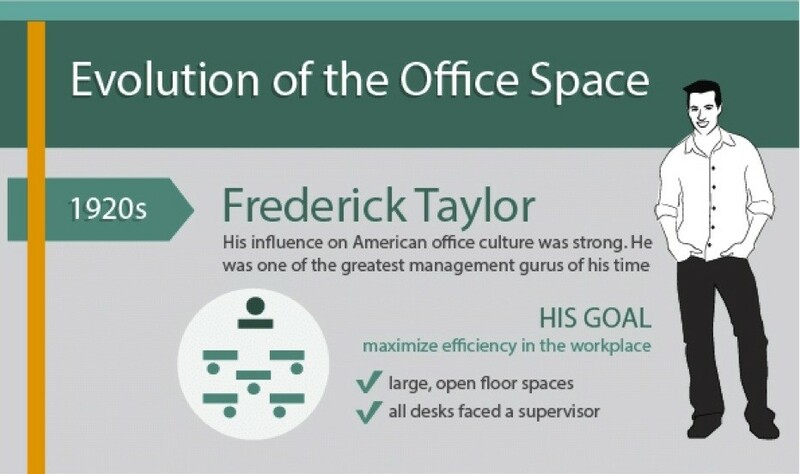 Transforming an office space into something that would promote positive changes in the workplace environment, is the ideal thing to do or consider even just a bit, because the labor force nowadays are generally part of the Millennial generation. Being part of this generation makes you more likely to become open for changes and always into what’s on the trend, and being in one of the office space that has a design that fits to your preference is somewhere that you would want to be in.